Call us at 317-841-2700 today. Indianapolis chiropractor Stacey S. Conrad, DC, CCSP, CCEP, of Premier Sports Chiropractic is one of the most experienced chiropractors in the Indianapolis area specializing in sports chiropractic and wellness care. He has specialist certifications as a (CCSP) Certified Chiropractic Sports Physician, a (CCEP) Certified Chiropractic Extremity Practitioner and certified in (SASTM) Sound Assisted Soft Tissue Mobilization. His interest in sports led him to pursue opportunities as the team chiropractor for the Indianapolis Ice of the International Hockey League (1992-1994). He also served as a team chiropractor for the Professional Rodeo (1992-2000). Dr. Conrad was the first team chiropractor for the Indianapolis Colts, a position he held for 14 years (1995-2008). In 2002 he helped organize chiropractors working with professional football teams to establish the Professional Football Chiropractic Society. He served as president of the P.F.C.S. from 2003-2005. Dr. Conrad is committed to providing quality care with a focus on optimal health and performance enhancement. Reducing physical stress, emotional stress and chemical stress on your nervous system will lead to a higher quality of life. 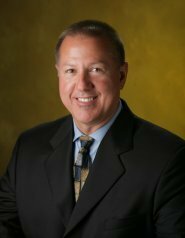 Dr. Conrad has practiced in Carmel and Fishers serving Hamilton County since 1990. Call today and start making improvements with your health! At our clinic, you will receive professional quality care through the use of modern chiropractic techniques and technology. We have a genuine concern for your well-being and long term health! Your comprehensive evaluation will help develop a chiropractic plan specific for you. If you are new to our website, please browse around to learn more about our practice and discover the wonders of chiropractic and optimal health. Click on Contact Us to ask us a question or to send us feedback. To receive free wellness and health articles, subscribe to our bi-weekly newsletter. If you are already a newsletter subscriber, please explore the member wellness section of our website for animated exercise videos, wellness articles, chiropractic resources, and health facts specifically targeted to your wellness needs and interests by Dr. Conrad. We are always available to speak at your business or civic group on a variety of health related topics. Please call (317) 841 2700 for more information. I come all the way from eastern Pennsylvania because Dr Conrad is the only chiropractor that I trust to adjust me. Thank you Dr. Conrad! Your the best Dr Conrad! Premier Sports Chiropractic is my #1 "Go To" place for my family health needs. They keep up on the latest and greatest aspects of wellness. Being proactive with your health is my personal philosophy, and that's what they teach you here as well :-)! Thank you Premier Sports!! Was a past patient of Dr Conrad, was glad to hear he was back at a new location on the west side. 1 treatment and I feel better than I have in months. I have been to a number of chiropractors in the last few years and have not had this level of satisfaction. Thank you! Dr. Conrad is the only chiropractor that I will go to! 100% professional, easy to talk to. Straight forward answers to your questions and needs. I travel from NJ to receive his care... As long as Dr. Conrad will see me when I need help, I would not even think of going to anyone else!